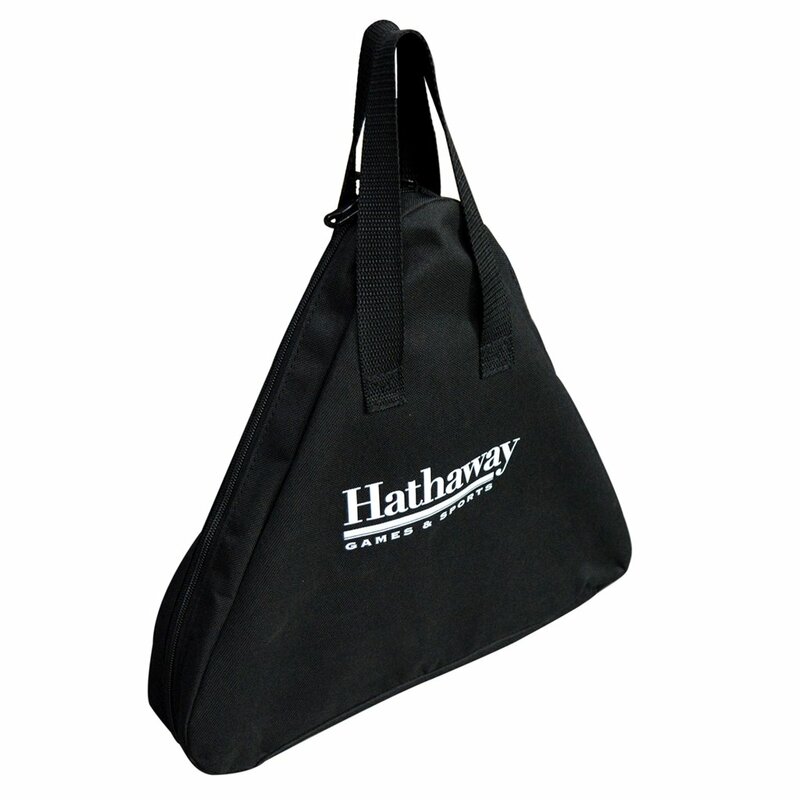 Instantly turn your shuffleboard table into an mini-bowling alley with the Hathaway Shuffleboard Bowling Pin Set. 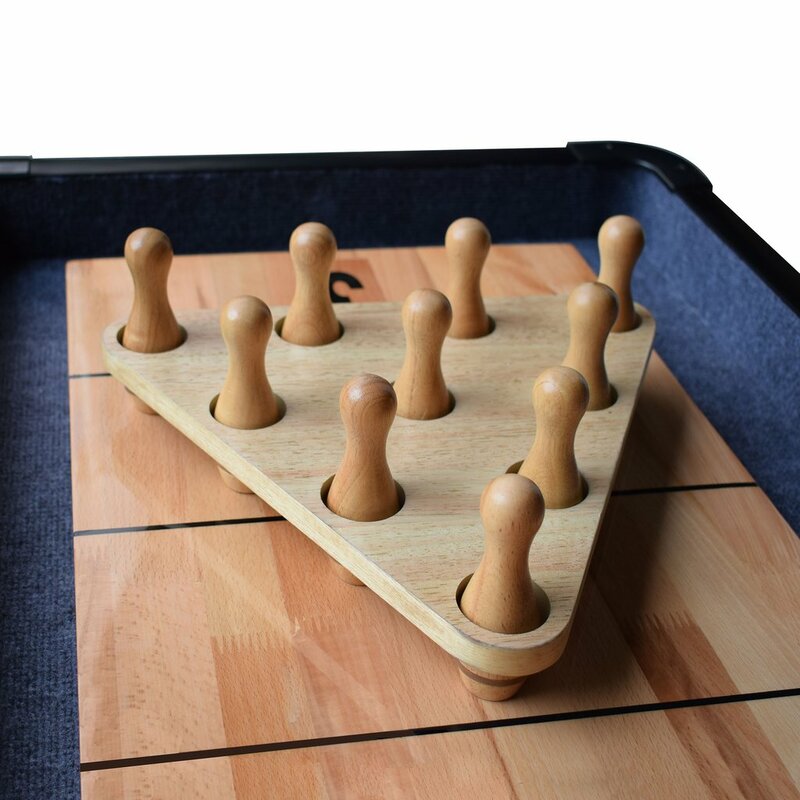 This 10-pin triangular rack is crafted from environmentally safe, durable MDF material covered in a beautiful wood grained melamine. 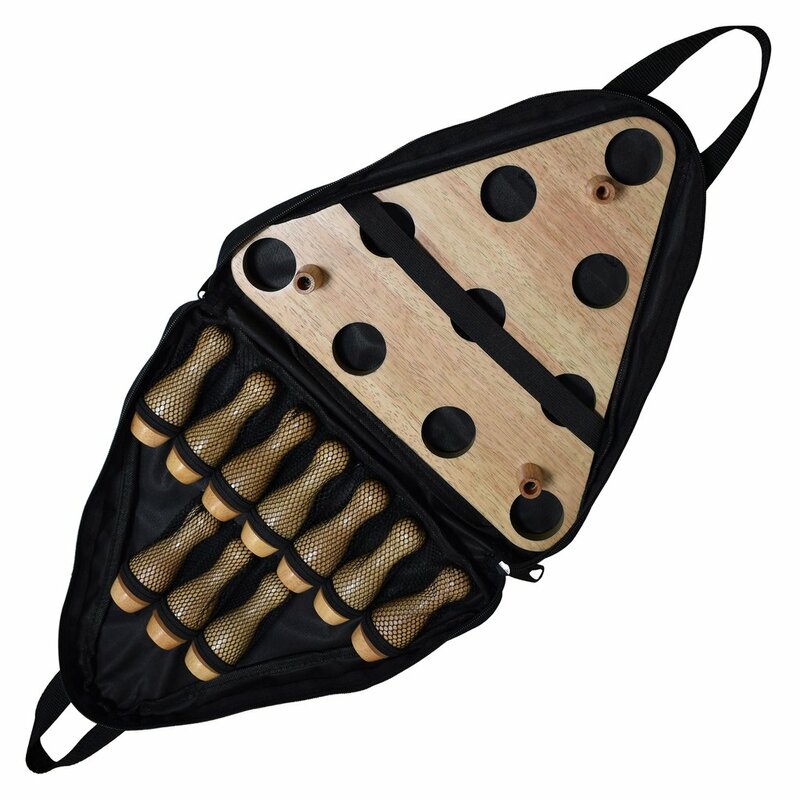 Ensure accurate pin placement every time by inserting the solid wood bowling pins in the triangular template holes. Simply lift the rack and remove and you are ready to play. 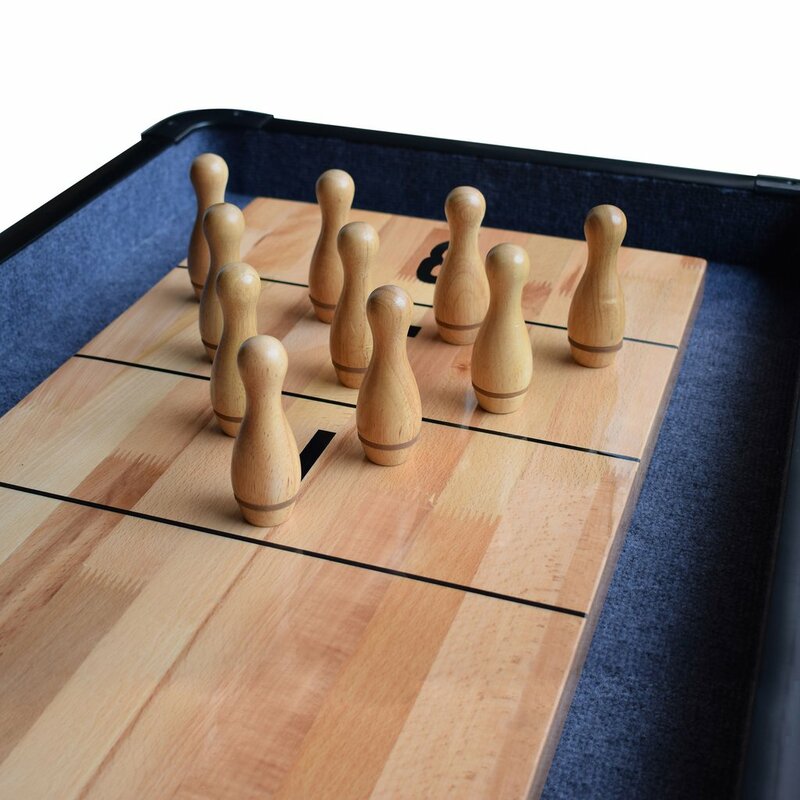 Take aim and glide your shuffleboard puck towards the pins and let the competitive fun begin (shuffleboard pucks not included). 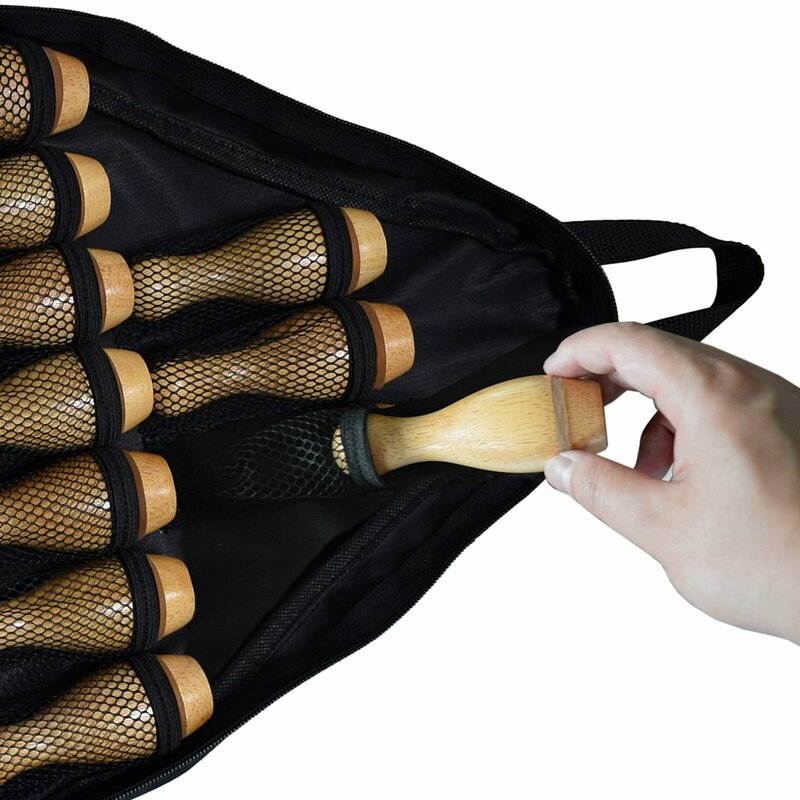 Includes free convenient storage case for easy portability. 180-day limited warranty.